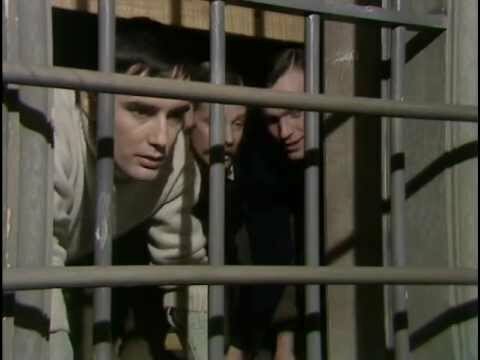 The Angriest: Colditz: "Senior American Officer"
It is 4 March 1974, and time for another episode of Colditz. Three high-ranking American prisoners are delivered to Colditz, including now-Major Phil Carrington (Robert Wagner) - who had escaped with Pat Grant at the end of Season 1. Rather than be placed with the British prisoners, the Americans are kept in isolation. They receive special privileges. Suspicions grow that at least one of them may be working for the Germans. "Senior American Officer" is a neat little exercise in paranoia. It does not take long to discover the purpose behind the American's special treatment - the Gestapo has been attempting to get the names of the Hungarian resistance contacts with whom Carrington and his fellow officers met prior to their capture. This leads the British officers on a mole hunt: someone is clearly feeding information to the Germans - but who? The answer is actually quite brilliant, and the reveal of the information leak came as a genuine surprise. Sadly while this framework is excellently developed, the episode itself soon gets bogged down in a very awkward flashback sequence as Carrington and the other Americans relate their Hungarian mission back to Colonel Preston (Jack Hedley) and the British. As it's all told in flashback, there is precious little suspense. The narration feels deeply uninspired and flat, which only makes things worse. Ironically, given the money spent on a location shoot, the episode would likely have been more dramatic just having the relevant actors tell their story on the Colditz sets in Television Centre. It is great to see Robert Wagner back: he was a great character in Season 1, and his return here is well handled - although his newly found enormous beard may take a little getting used to. He is joined by Lt Colonel Max Dodd (Dan O'Herlihy) and Captain Harry Nugent (Al Mancini). Nugent feels throwaway, and Mancini's performance a little exaggerated, but Dodd seems an interesting new addition: a little older, a little more disaffected. He is well performed by O'Herlihy, who is something of a high profile coup for the series' final episodes. "Senior American Officer" is a bit of a mixture in the end. Some bits are excellent, and some bits are a little awkward and dull. Overall it's pretty enjoyable stuff, and adds a new dimension for the series' final act.